The Chicken kicks the opponent's Pokémon in the groin area. The opponent's Pokémon's face is now derped up. 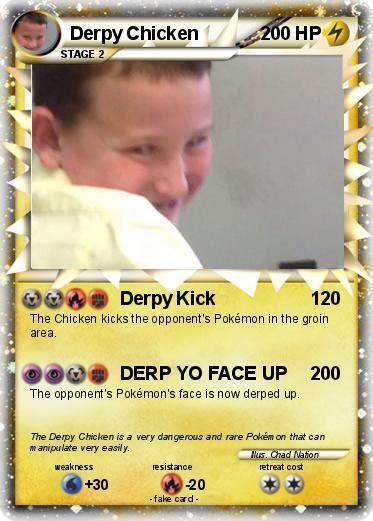 Comments : The Derpy Chicken is a very dangerous and rare Pokémon that can manipulate very easily.